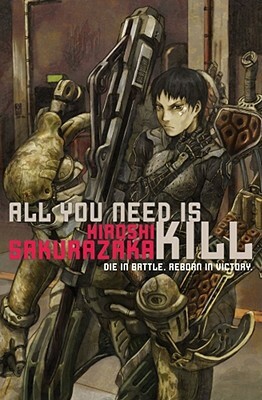 All You Need Is Kill by Hiroshi Sakurazaka is one of those page turning novels that makes you forget everything and plunges you directly into its world. An alien invasion has come to earth and all the best in the military, with the best technology, is out to fight them. With his first encounter with one of these aliens creatures our main character, Kenji, finds himself directly in battle with one. Completely overwhelmed by the enemy forces, he was unable to stop the attack coming right at him, and that's when he wakes up back in bed—at the start of the day. And that is when we realize with him that every time he gets killed in battle he resets and begins his day anew. A fascinating and enthralling story that was made into an equally enthralling movie starring Tom Cruise entitled: “Edge of Tomorrow” which quickly became one of my all time favorite movies. - Recommended by Rafael Ruiz: Joined Kinokuniya in 2018. Currently working at English book floor on 1st floor at Kinokuniya Bookstore New York main Store.